As much as we loved Ninja Theory's DmC, the prospect of Devil May Cry 5 a whole eleven years after the last proper numbered instalment released is an unbelievably enticing one. And having fully digested a massive 11 missions over the course of about five hours or so of gameplay, we've got a real sense of how Nero, Dante, and V's demon slaying adventure is shaping up. Incredibly well, is the short answer. Devil May Cry 5 is slick in every conceivable way, from its beautifully orchestrated cinematic cut-scenes to its signature fluid and immediate demon slaying action, minute-to-minute the game proves to be a genuine rush. Newcomer V is particularly interesting, his animal 'familiars' doing the fighting for him, as he stands back and watches, waiting to deliver the final killer blow: a 'checkmate'. Like Nero and Dante, each of V's familiars serve a ranged and close-quarters role, eagle-esque Griffon firing lightning projectiles at enemies, while shapeshifting panther beast Shadow lunges with both his teeth and swirling, whip-like tentacles. On paper, V as a character really shouldn't work. Even his look is an odd contrast to Nero and Dante's platinum-haired, trenchcoat-sporting cool, V resembling that weird, edgy goth kid at school who kept himself to himself. The notion of letting beasts do all the hard work also seems off-kilter at first and entirely counterintuitive for a DMC game, but V's esoteric move set and style clicks remarkably quickly, providing a welcome alternative to the series' stalwarts and their combination of fast flashing blades and bullets. Then there's V's Devil Trigger that unleashes the hulking Nightmare who drops from the sky with an almighty thud (or rises up from the earth, depending on how he's feeling), wreaking complete havoc as he pounds demons into the ground. Make no mistake, V might look unassuming with his dandy silver cane and slight frame, but he's a powerful force to be reckoned with, Griffon lifting him out of danger or to high ledges, Shadow proving a lethal protector, and Nightmare able to deliver a devastating coup de grace at the perfect moment. Despite V's role as the “catalyst” in the story, according to Director Hideaki Itsuno, Nero and Dante remain very much at the heart of Devil May Cry 5, and with the help of genius tinkerer Nico, they have an arsenal of upgrades and abilities at their fingertips. Literally that is the case for Nero, his Devil Breaker appendages replacing Devil Trigger abilities with an array of different options and loadouts to consider. There's the brute force of the Buster at one end of the scale or the relative finesse of the Gerbera or Overture, one a blunt hammer, the other a more precise scalpel. Nero has ten of these Devil Breaker arms, running a gamut of abilities from slowing time, to firing ricocheting lasers, to unleashing lashing tendrils. Dante is not without his own extreme moves too, of course, his usual skill set complemented by a stylish fedora that enables him to bust all kinds of insane moves and a break-apart motorcycle that serves as a pair of gigantic bludgeoning buzzsaws. This alone should tell you all you need to know about DMC5. It's over-the-top, totally, unapologetically lacking in subtlety, and beautifully brash. 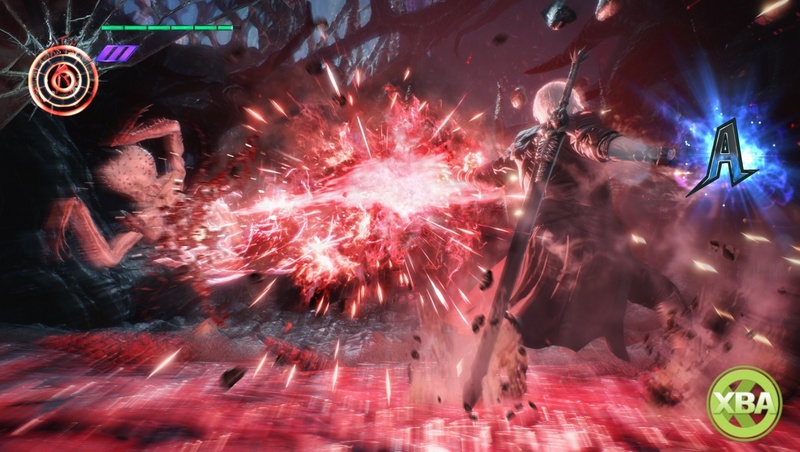 All four of Dante's fighting styles are also mapped to the d-pad so you can change things up on the fly, carving up enemies with his Swordmaster style one second, before blasting monsters into oblivion as Gunslinger the next. Finesse comes with the Royal Guard and Trickster styles, while swapping between guns and melee weapons is just a trigger button push away. This gives you a ludicrous number of options to experiment with, and naturally, you'll no doubt come to find your favourites over time. 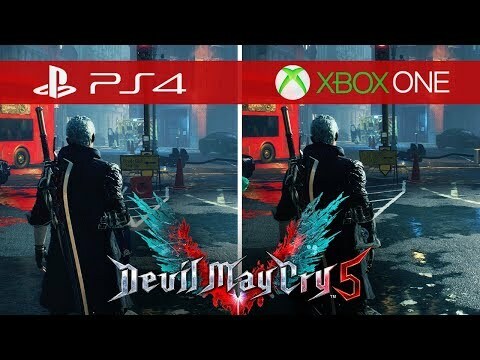 From both a stylistic and gameplay perspective, Devil May Cry 5 owes a lot to Ninja Theory's reboot, and while this might not be a direct sequel to that game, it perfectly rides a line between being a spiritual successor to DmC 2 and a 'true' sequel to Devil May Cry 4. And DMC 5 has come a long way since the previous numbered series outing, with fixed camera angles out, and dynamic, fully 3D environments well and truly in. Speaking of environments, DMC 5's London-inspired location of Red Grave City is fantastically evocative, aping the style of the UK capital and its architecture. Each area has its own sense of the macabre too, with the invading demonic denizens of big bad Urizen poking glistening tentacles and pulsating pus-filled sacs through the broken, cobbled streets. Iconography like tube signs, red buses and such are all present and correct, and anyone familiar with London will see the real-world influences coming through in almost every part of DMC 5. Except for the bits where you'll visit demonic realms, of course. There's innovation too in the game's fairly unique take on co-op play, employing something dubbed the 'Cameo System'. Certain missions in DMC 5 will present you with a character choice, and whomever you don't choose to play as will show up in the background as an online player cherry-picked from your friends list or from a random pool of players. That means you can watch as Nero takes on demons in the distance while playing as V, for example, and even rate the performance of that player, who will then earn bonus items for their efforts. Someone might always be watching, which to paraphrase Itsuno, means you'll probably want to show off a bit (if you can). It's worth noting that the Cameo System can be toggled on and off as you like, so it's not a mandatory feature. It is a neat online wrinkle, however. 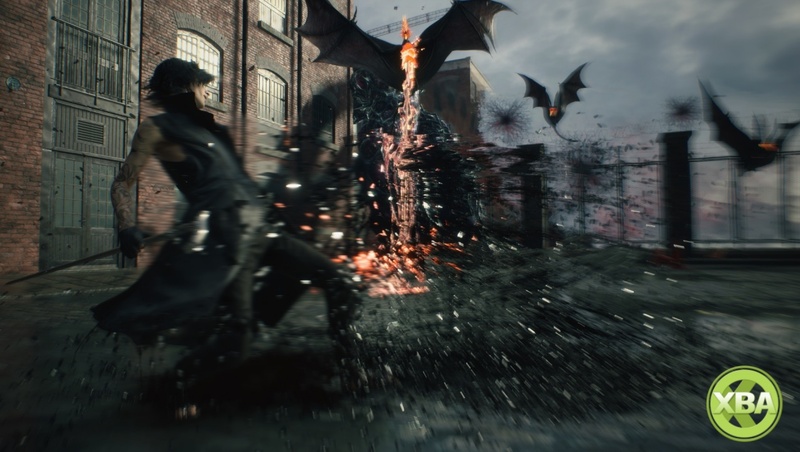 Bursting at the seams with unencumbered style and attention to detail, Devil May Cry 5 is on track to be every bit the sequel that fans wanted. 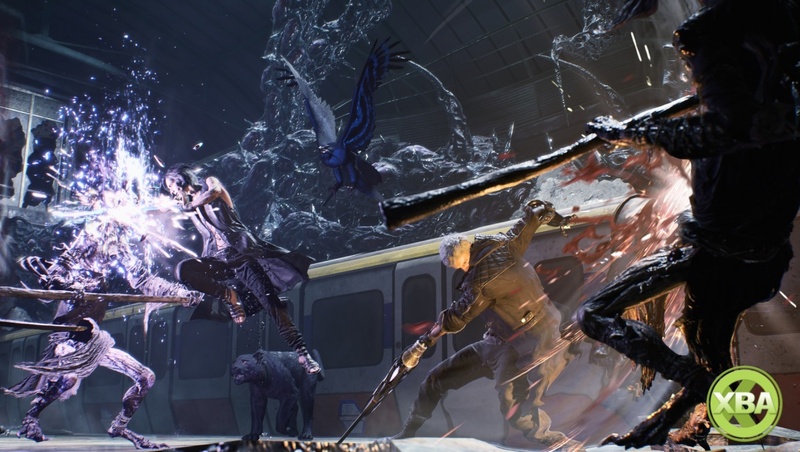 Embracing what Ninja Theory's DmC brought to the table, while staying true to Dante and Nero's previous exploits, DMC 5 looks assured to be all things to all Devil May Cry devotees. We'll wager that there'll be no diabolical weeping when Devil May Cry 5 launches this March.